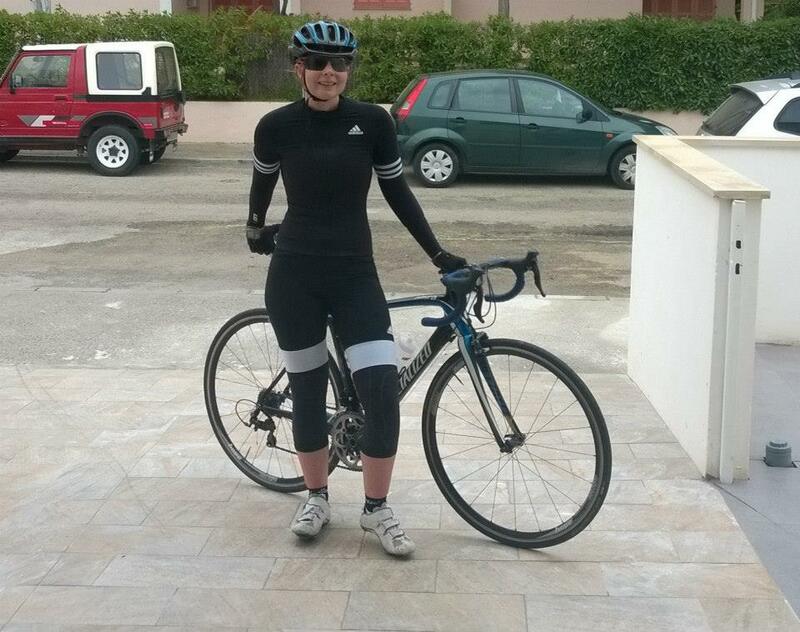 Riding in Majorca – 2015 – Ride. Write. Repeat. It’s been a bit ‘hay bale’ on the blog recently – reason being three weeks ago I left the lovely Evans Cycles to start a new job as Associate Editor at Total Women’s Cycling – which is totally awesome. It has meant my mind has been elsewhere, but after 3 weeks in the job and a one week ‘holiday’ in Majorca I am back. I’ve made quite a few trips to the sunny(ish) Spanish Island – one in 2012, two in 2013, one in 2014, and again this year. 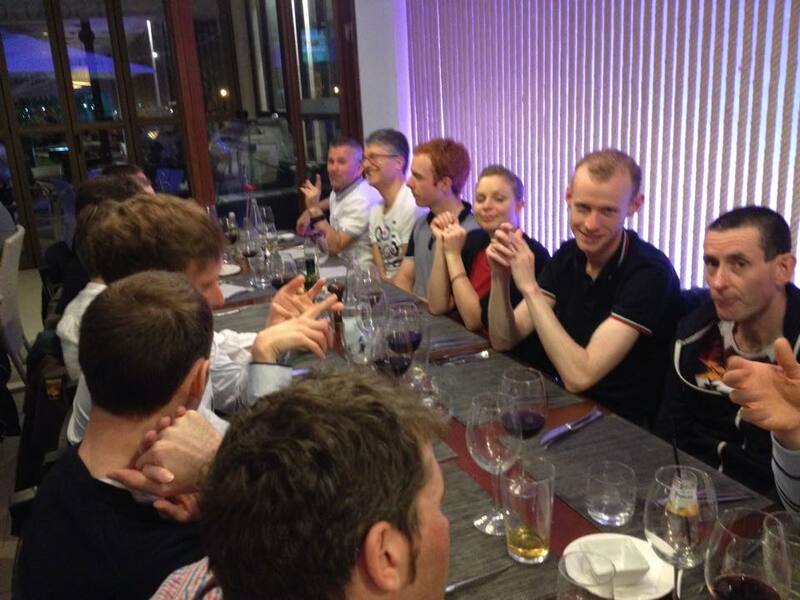 Most of those trips have been with the lovely Redhill Cycling club who organise an annual training camp/riding week. If you’re a cyclist and you haven’t been – you should go. The roads are smooth, the cycle lanes are wide, and the climbs are stunning. Every year with the club has been great, but of course follows the same format – its an absolutely amazing holiday and beautifully organised, but after a rather stressful few months of job interviews and uncertainties, I was up for a break with my husband as well as a training camp so we opted for a slightly different format. Most holidays don’t have goals, do they? Training goals this year were steady base miles, and quality volume swim sessions. Since up until joining TWC, I’ve been freelancing basically every weekend, I’ve completed almost no long rides, so I really wanted to get some distance stored in my legs. Running would have been one the cards but I’ve been struggling with some knee pain. It’s on the mend now following some treatment, but it’s still a bit sore and I didn’t want to jepordise time on the bike in the cyclist heaven that is Majorca so steered away from the high impact game for the week. 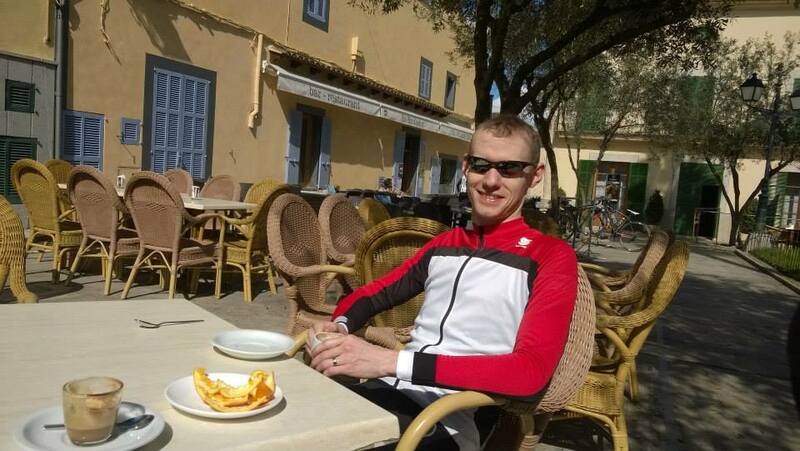 Previous Majorca trips have started out with a few rides that have really hammered me, and I didn’t want to get so far into fatigue that the following days became pointless slogs, so the plan was to keep the mileage higher than it would ever be at home, but sustainable. This year we stayed at Villa Concha Hoposa – opting for self catering, as opposed to the usual Duva Hotel, with breakfast and dinner buffet included. This meant we could afford a few swanky nights out, and enjoy some cosy nights in with our own home cooking, plus the joys of holiday supermarket shopping, which any fresh fruit/veg lover will understand. 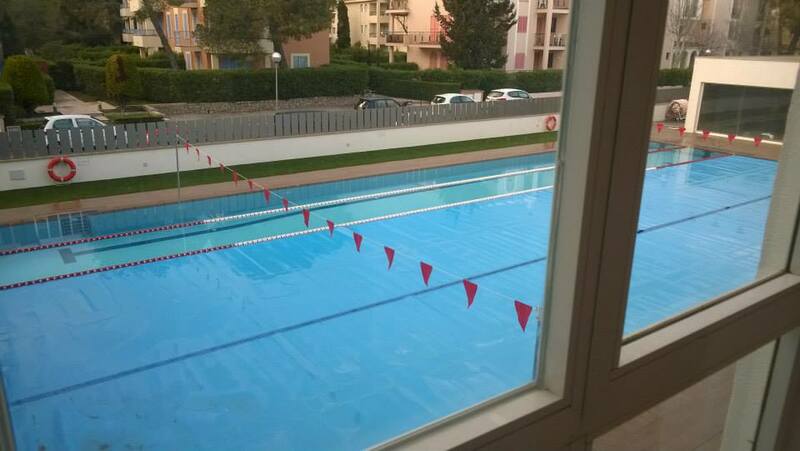 Since I’m back playing the triathlete game this year, I was thrilled with the heated outdoor pool – for just 1 euro for an hour (though I discovered you could push it to 90 minutes easily) you generally had a lane all to yourself – I only once had to share, and only for around 20 minutes. The hotel also had a fantastic high security bike garage which probably excited Maurice more than myself. Maurice and I arrived on Saturday, getting to the hotel about 8pm, buying food and cooking, then passing out at about 10pm, ready to ride on Sunday. The day began beautifully sunny, so we set off for the obligatory ‘get your legs spinning’ ride to Petra, which is famous for cheescake. The pace was pretty steady on the way out, and we spun along to the pretty town for coffee and the yummy fresh oranges they always serve with it – no cheescake, “I’m watching my figure”. We stopped for lunch at 40 miles, and it occurred to me that I’d not ridden much more than 40 miles since before Christmas… but I’ve done plenty of short-hard ones and I was feeling decent. As the day wore on, the sun slowly disappeared, the temperature dipped, and rain quickly turned to hail. No rider likes to be pelted with hail, so the pace very quickly doubled, and the ride back became very much a thrashfest – with me taking a few turns on the front, but mainly trying to stay on my husbands rear wheel – which I did, thankfully. At around 60 miles in, I took a rather long turn on the front, under the impression we were about 2 miles from home. Rounding the corner to see a large sign reading ‘Port de Pollenca – 16km’, I think my heart dropped very suddenly, and the pace had to drop a bit, too. In the end it was 69 miles, about 2400ft, and 17mph – slower and ambley at the start, fairly hard in the middle, and a bit of an energy loss at the end. I kept my heart rate much lower than normal, mainly aware that with few long rides under my belt my endurance isn’t great – well below my normal ‘climbing 180’ on the ups, and often at 130 on the flats. Home from the ride, I squeezed in a quick 1.5km swim session, with some 50m reps to make sure my arms got a look in, too. 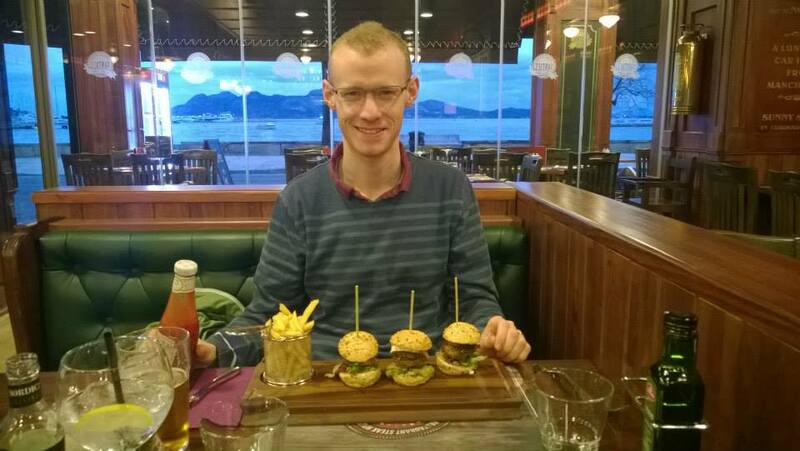 At dinner time, we headed into Port de Pollensa for fish (me) and a burger trio (Mr Frustratingly Skinny). Following yesterdays dance with the rain, we were a little disappointed to see more wet stuff forecast – with a 50% chance at 12pm, 60% chance at 1pm, 70% chance at 2pm, and so on. We decided the only thing for it was to set off at 9am, and smash out 70 miles on major roads (making navigation easy if the rain did hit) without stopping-at-all-ever. We rolled out to Arta – which involves quite a long, undulating stretch I remember from previous trips. There was a mega headwind – I remember we caught up to a (probably German – they usually are) guy after some miles and he sat on the back of our two person peloton for some time. You know it’s a windy day when you all accept that doing so is perfectly acceptable. We got through the day on gels and energy drink, getting one pee stop each as a luxury around half way round. Total distance ended up at 72 miles, fairly flat but rolling at the start 2,200 ft at 17.4 mph – a steady one that felt harder due to the non-stop nature – a little like a race against the clock. 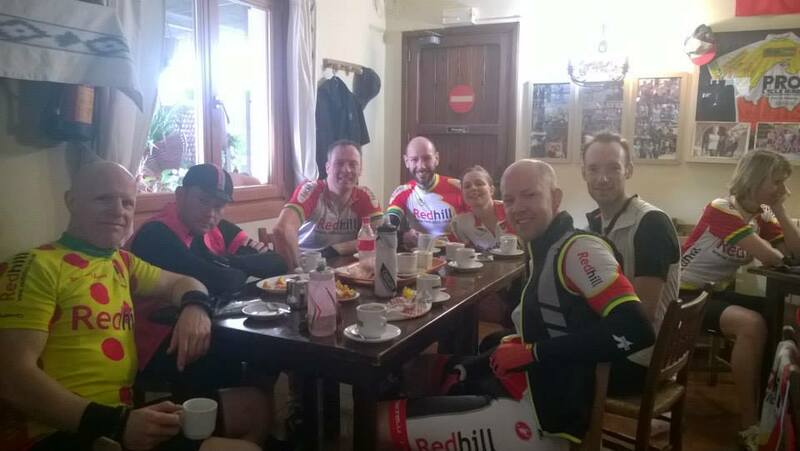 Ride done, we nipped to the much loved Cafe 1919 for a obligatory ‘Sandwhich Club’ (you have to say Club like Klub, and pretend you think you sound Spanish…) and Cortardo. I kind of couldn’t feel my fingers – it wasn’t exactly toasty – but it never did rain. The ‘head down’ day meant when I got back I really felt the effects of my largish saddle to bar drop – it’s fine for short days, but I raised the bars for the next day. 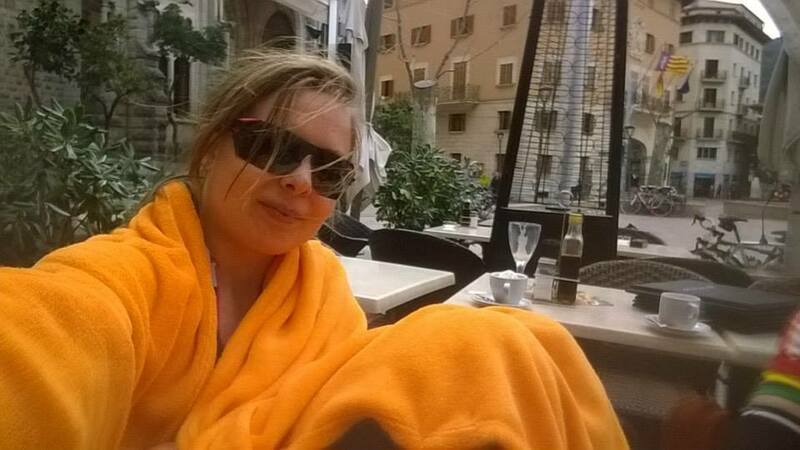 I jumped in the pool on return for my favourite 2.5km swim session (100, 200, 300, 400, 500, 400, 300, 200, 100 – easy to remember) and then we ate a very bizarre selection of Ravioli, Boiled Egg, and Cooked Sausage – it was actually really good. Before getting on the plane we’d both been struggling with knee niggles. Mine had been sore about 3 weeks, but was improving, Maurice’s was newer and was getting worse. On Tuesday we rolled out together, and rolled very quickly back when his started to flare up straight away. 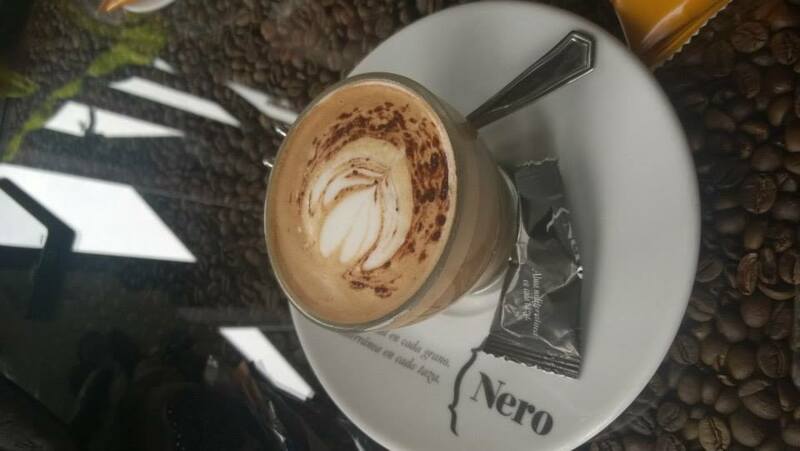 It looked like some rest was due, so we enjoyed a coffee in Pro Cycle Hire, and I headed to the pool to complete the prescribed 4km swim session. Then, we jumped into the hire car ‘Puglsy’ and visited Alcudia – which is a beautiful historic market town well worth a trip – lunch was served at a vegetarian cafe (still no idea what we ate, but it was good). In the afternoon, I was told I absolutely had to make the most of the sun by my very lovely husband (who was coping amazingly with the frustration of sore knee on riding holiday) and went for a spin up the familiar ‘Petrol Station Climb’. You can ride the climb from the Pollensa approach, or from the Campanet/Caimari approach. From Pollensa, as I chose, it’s 5 miles straight up the Col dels Reis, followed by 3 miles with some short sharp rollers, then a final climb before you reach the cafe next to the famed ‘Repsol’ (does anyone buy genuine car fuel there?). At around 5pm, most riders spinning down the descent as I climbed were returning from long, hard days on the bike – and I kind of relished that I was instead opting for one hard, quality climb, before spinning home for dinner. Reaching the top, I rounded a bollard, and went straight back down – the group of riders standing next to the bollard clearly thought this was quite amusing – most people stop, regroup, and enjoy the view here. With 13 or 14 hours training down , a rest day felt appropriate. Holidays in Majorca usually involve back to back 100 milers with ’50 mile rest days’ so this felt strangely guilty. However, I reminded myself that I’d come with the aim of a holiday, and a holiday I would have. My own knee was troubling me a little – so this day was a full on chillax affair – I nipped to the gym for some core love, got a lovely full body massage, and we spent some time in the Spa – a new experience for my man friend who seemed to like the jacuzzi, sauna and steam room – as well as the ice bath which was a nice surprise! Dinner was in Pollenca itself, and absolutely beautiful. I’d strategically placed my rest day to be the day before the rest of Redhill CC arrived – because I knew they’d all be rocking up with fresh legs, ready to smash out some hard miles. I had planned to join an easier ride, keeping up with my low heart rate base miles – but I got tempted one a 100 miler which I thought, on leaving, would be flat – 30 miles in I discovered we were actually scaling the largest climb on the island, Coll de Soller – with some fairly major lumps on the way. I can’t say I rode my best, I was mainly a little frustrated that my legs were still heavy from days 1 & 2, and the fatigue card just stayed on my mind – probably more mental than physical, really. The wind was strong, to the point that tables, bikes and plant pots were being blown off the ground at our lunch stop in Soller. I spent most of the morning dreading the 10 mile ascent from Soller, and when we got there I rather stupidly failed to fill up on water which made the whole situation even worse… I plodded up the climb, with my heart rate at a rather silly 160 bpm at points – where often I’d be nudging into the high 180s (190 is the cut off point, 200 being my max) when really going for it. I guess I just didn’t want to bonk before the end and be ‘that annoying rider’, so I stayed on the side of caution very much so, which is probably not a terrible thing to do but the conservative attitude kind of put a ceiling on my enjoyment. However, my ride crew of Jonny B, Fiona B, Nick B, Geoff C, Stuart B, and a guy-who-was-really-lovely-whos-name-I-dont-know were totally awesome and after reaching the top of the climb, we had a celebratory picture (once I’d rehydrated – why the hell I chose to start a 1 hour climb with no water I do not know..) and headed along the final 30 miles or so. The wind remained pretty brutal, but spirits were high. I finished the ride commenting that it had been my “hardest ‘easy day’ on the bike ever” – and it had. I’d meant to join a social plod, and instead selected a bit of a brutal day out, but I got to the end with the group, which was more than I’d planned when I first heard, 30 miles in, what the profile was to be. It was just around 9,200 feet I’m told (my Garmin ran out out battery and lost it all!) Average speed on Jonny’s Garmin was 16, so mine would have been about 15 or 15.5 I expect. I only wish I’d spent less time begrudging my legs, forgotten about the 70 milers of handlebar chewing already in them, and pushed a bit harder – if I’d let my heart rate go over 170 I’d probably have had more fun! 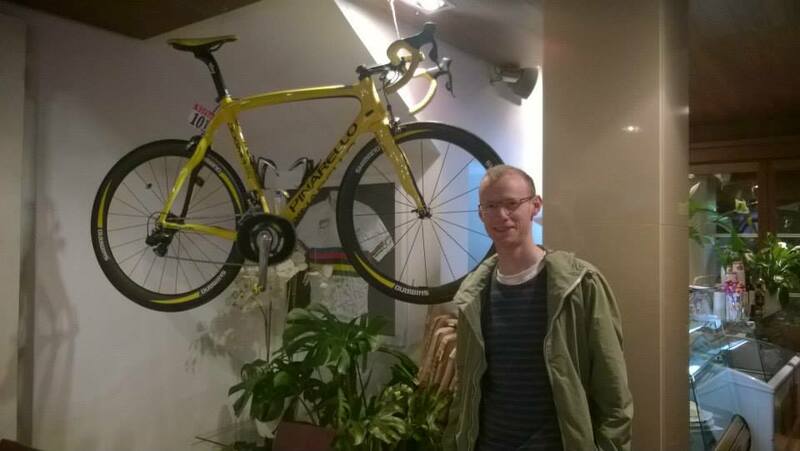 That evening, Maurice and I went to Tolos – 2 minutes round the corner from our hotel – it’s owned (I think) by Bradley Wiggins and his bikes are proudly on display there. 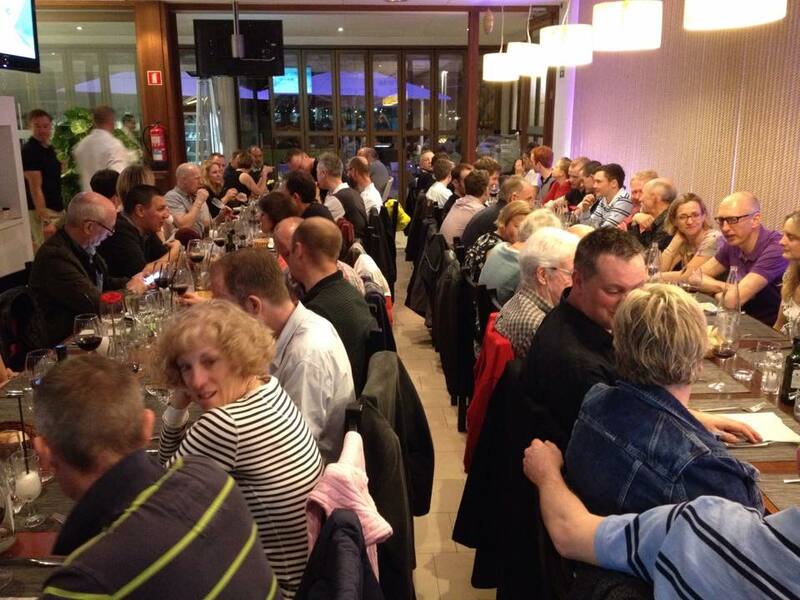 Awesome food, and some medicinal red wine and I was a happy rider. Then we hit a descent, followed by a climb, Maurice’s little nose was poking out the front of the group, I followed, smashed it over the climb, and we took my friend Cara with us for a 3 person paceline to Petra. There’s a steady 6 miles of rolling incline, and I had great fun pummeling my legs into submission whilst my quads screamed that, FYI, they’d kind of had enough. Half way there we slowed up and one of the older guys caught up, having attacked his fellow riding buddy – and so we upped the pace once again on some beautiful sweeping downhill bends. Awesome fun on a bike. At Petra, the rain clouds gathered, and fun as the social group was, neither Maurice or I wanted to get stuck in the rain, and it transpired there were plans to amble through the lanes, so we once again took to our two person peloton and put our heads down for another 35 miles of what was rather strong headwind. 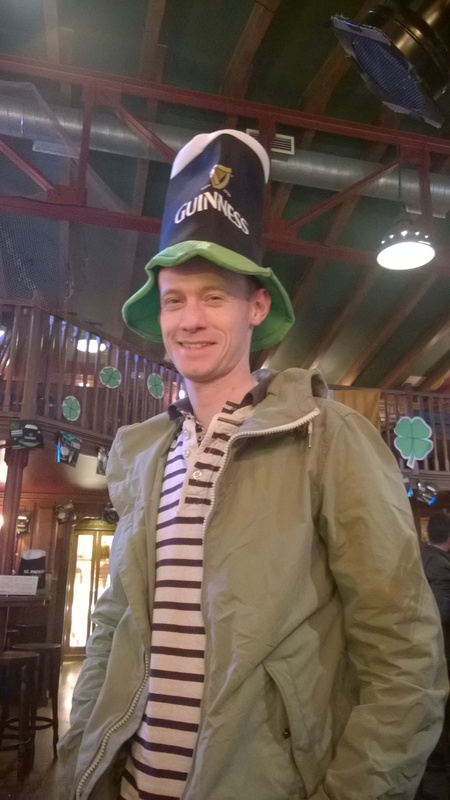 We were joined by another German on the route home, but bless him he was being blown backwards on his own. Our 60 miles had yet another average 0f 17mph, but with a first half about about 15, and a second half closer to 19 – it all levels out and it was tons of fun. 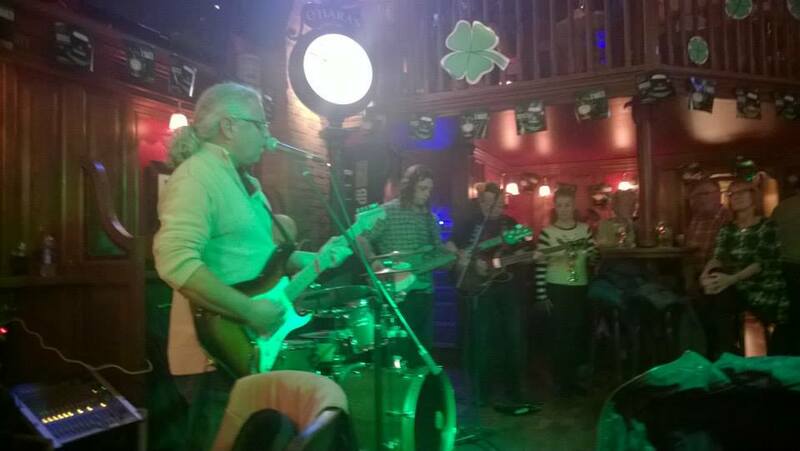 We were back round to Saturday – how had that happened? 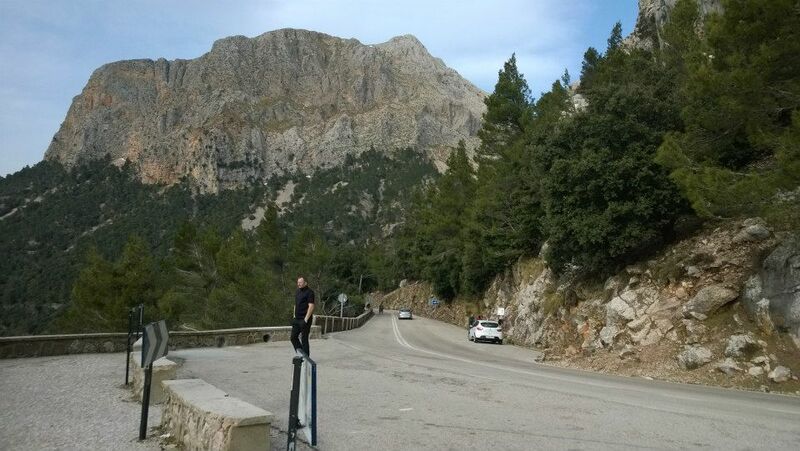 The G5 Redhill CC group had an 80 mile route planned, with the petrol station climb from Campanet featuring, followed by the slog over to Sa Calobra, a descent of the 6 mile skwiggle, before the climb back home. The knee was niggly and I felt like I’d got some quality miles in already – if less miles than previous years. What I didn’t want was to push it for another 80 miles, then get back on the aeroplane having taken it back to square one. So – I decided to just do the first climb, Coll de sa Batalla, then roll back and knock out some quality lengths in the pool. I’ve ridden Sa Calobra about 4 times now, if you’ve not done it, you should – but the ride there is always a bit of a slog. Knowing the ride was going to be shorter filled me with a ton of bristling energy. I also left the heart rate monitor at home, which meant I could just ride the climb on feel – eg, find the ‘red line’, and ride right over it. I always do enjoy the 5 mile petrol station ascent from this angle – there are multiple swooping hairpins and you can accelerate from every one. I reached the top pretty much gasping- and very satisfied to be the third rider from our group to the top. Admittedly, I was cheating since I had no intention of carrying on to Sa Calobra. Effort complete, I shared a coffee with the group, and swooped down my favourite descent down the other side, sun on my face, and the promise of a good 90 minutes in an empty pool after lunch at Cafe 1919. I even picked up some swim tan lines in the outdoor pool. 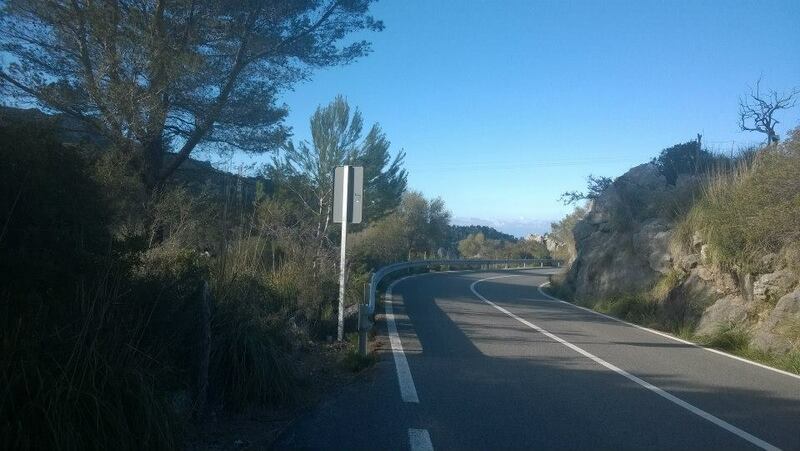 Another Majorca trip, another 380 miles of smooth roads and 12km of swim bliss. Fewer miles than previous years, stunted by a silly knee (two silly knees – one each) but quality miles, more than I expected to get in when I saw the physio before leaving, some good pool yards. Most importantly, an awesome break. Sounds awesome Michelle! 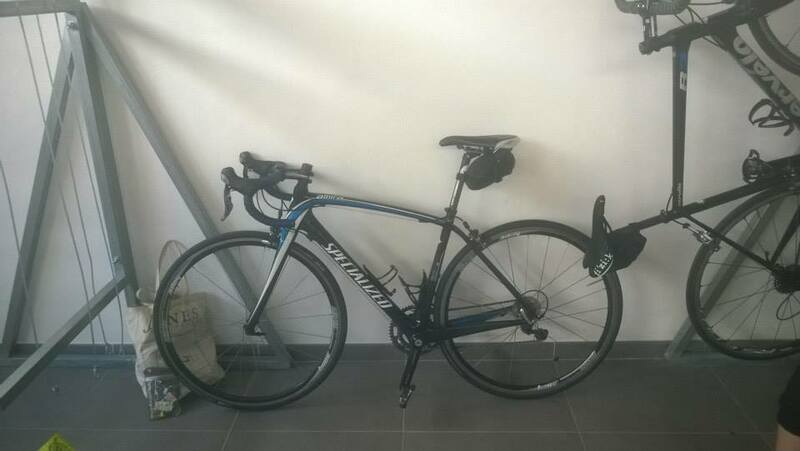 I haven’t taken the bike to Mallorca yet – maybe next year. Plus – the Adidas kit suits you!